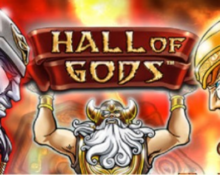 Hall of Gods Touch™ – Epic Slot goes mobile! Play with the Gods at Casumo! Play this legendary game on your mobile device! Jackpot lovers and chasers, who prefer playing on the go, have to mark the 16th February 2017 on their calendar as that will be the day the epic Hall of Gods will be released as Touch™ version. The progressive slot is one of the earliest jackpot games that Netent developed and has changed over the years many lives with huge jackpot wins in the millions. Netent has now upgraded the slot to its Touch™ mobile platform so players can enjoy it while gaming on their phone or tablet. At the same time they enhanced the graphics and animations as well as opted now for 20 fixed pay lines. 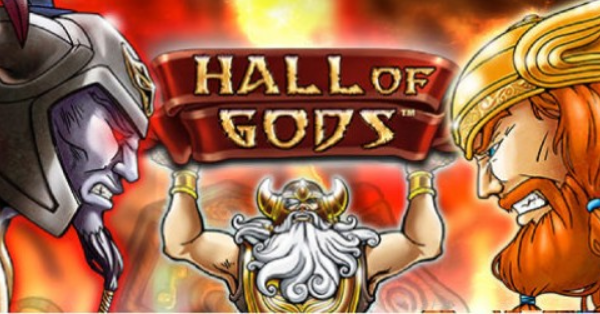 Play with the Gods on this very entertaining slot and you might be rewarded with a jackpot win in the millions. Ever since its release in 2010 the slot has made on average 2 – 3 players instant millionaires per year changing their life forever. The average mega jackpot payouts hovers around the 5 million mark, truly astounding. 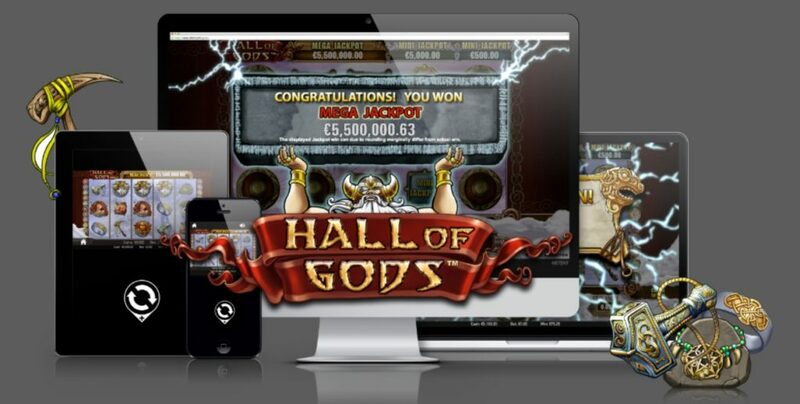 The slot was released by Netent back in 2010 with 3 pooled jackpots – Mini, Major and Mega. First one usually triggering in the 100’s, second in the 1,000’s and ultimately the Mega in the millions with the highest triggered amount up to this day being over 7 million. The slot is a is a 5-reel, 3-row, 20-line game and is based in an ancient world of Nordic Gods and Legends. The stated RTP is a comfortable 96.5% making it a medium variance slot. It comes with Free Spins, expanding Wilds and of course the Jackpot Bonus Game. 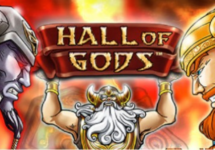 Once a player hits three Thor Hammers on reels 3, 4 and 5 he will be led into the epic Hall of Gods where he can crack open up to 15 shields to reveal the prize. Matching 3 coin values or jackpot symbols will award the respective win. It is here that players sit in awe and suspense hoping that Thor’s Hammer will reveal that much desired Mega Jackpot symbol three times. To be in with a chance for the jackpot players have to spin with full pay lines. Bet and Jackpot sizes correlate positively with the chance of winning one of the three jackpots, in clear words the bigger the bet the higher the odds to win one of them. Contributions to the jackpots amount to 1% of the bet for each, Mini and Major, as well as 4.9% for the Major jackpot. Play with the Gods, on your mobile! Casino Euro – Turbocharge your Jackpot Win! 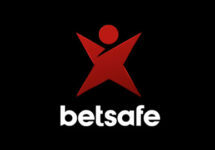 Betsafe – Viking Runecraft Tournament!